Securing quality education for all is not just a matter of societal and personal development but a question of fundamental rights. By SHENILLA MOHAMED and IAIN BYRNE. On Human Rights Day, nearly a quarter of century will have passed since South Africa adopted arguably one of the most progressive constitutions in the world. During that time the country has witnessed significant changes as it moved from an apartheid state to a multiparty democracy. The transition ushered in a new sense of hope and transformation in the country. Almost every sector of the South African society yearned for progress and development. Yet, there is still much to do as longstanding concerns remain sparsely addressed. One of the areas where there remains a great deal of concern is education. Nelson Mandela said “… [e]ducation is the most powerful weapon which you can use to change the world”. For each individual, it is one of the most important factors in determining their life chances. Without access to decent quality education, a young person is most unlikely to fulfil their potential both for themselves and to the benefit of the wider society. However, securing quality education for all is not just a matter of societal and personal development but a question of fundamental rights. South Africa has enshrined the right to education for all in its Constitution. It has also accepted a range of international and regional obligations in respect of education, most recently with the ratification of the UN International Covenant on Economic, Social and Cultural Rights. Yet despite this recognition, South Africa’s education system is failing millions of its schoolchildren. We know the challenges are many and significant. 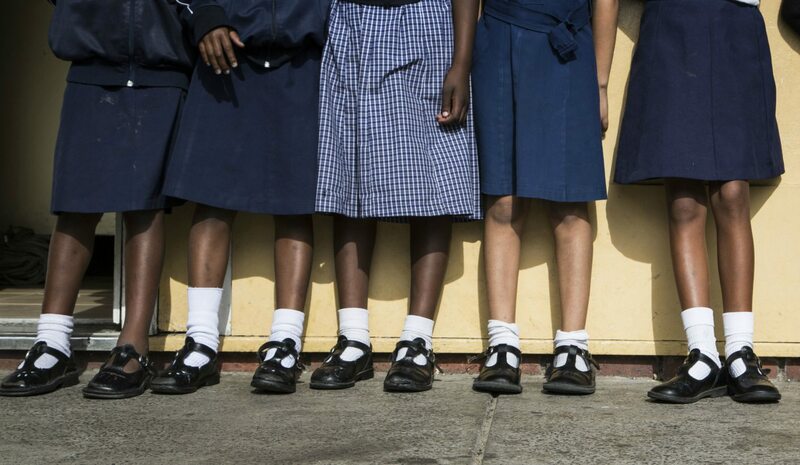 An increasing young population – 16 million learners out of a population of 56 million – and numbers growing rapidly every day in certain provinces due to migration means that many provinces are struggling to cope with increasing demand; 38,000 additional Grade 1 pupils entered Gauteng’s system last year alone resulting in some cases in 10 applicants for every available place. This trend is also placing increased pressure on teachers and school budgets and in turn leading some parents to explore alternatives such as the private sector, which we discuss further below. At the same time, the legacy of apartheid continues to loom large in other ways. Many provinces have struggled to adjust with the merged responsibilities of the previous multiple apartheid-era departments – at one point the Eastern Cape had 41 departments, reduced to 23 and is currently trying to reduce to 12 in total. Those systems inherited from previous Bantustan entities have found it particularly hard to adjust. Although Bantu education might have opened up access for black children, it failed to deliver on quality, and this legacy – high enrolment rates but poor outcomes – continues to this day. Yet despite a greater percentage of its budget spent on education than either the US, Germany or the UK, South Africa also has some of the poorest educational outcomes, ranking near the bottom of all middle-income countries as well as its regional peers. These overall poor outcomes in key areas such as literacy and numeracy mask increasing social and economic inequality both between and within South Africa’s nine provinces. Children in poorer township schools fare much worse and are more likely to drop out of education – in some cases 50% by Grade 12 – than those attending wealthier schools. Some provinces such as Limpopo and the Eastern Cape continue to be underperforming and under-resourced with “mud schools” still existing in many rural locations. These often lack basic facilities such as sanitation. And 44% of school children still have to use pit toilets, which as well as being unsanitary are highly dangerous. South Africa is legally obliged to guarantee the right of every child to free and compulsory primary education. Yet the reality is that millions of families have to pay for their children to attend primary school – a situation that has been condemned by bodies such as the UN Committee on the Rights of the Child as recently as 2016. The current annual average cost to send a child to a public primary or high school is R32,000. This includes factoring in other “hidden” costs such as uniforms, stationery, books and transport, which means that for millions of poor South African families access to affordable public education remains a distant dream given that over 30 million are living in poverty and 13.8 million in extreme poverty (i.e. living on less than R441 per month). In the country’s 2014 General Household Survey, 24% of people aged seven to 18 cited “no money for school fees” as the main reason for not attending an education institution. Even where exemptions for school fees are granted many of these costs are being passed on to schools, eating directly into their budgets. In some cases, post-apartheid reforms have not necessarily translated into improved outcomes. For instance, bringing teacher training into the university system was designed to ensure greater consistency but has also led to high drop-out rates among students from poorer schools. Schools during the apartheid era tended to be subjected to extremely rigorous (some would characterise it as draconian) inspection regimes with teachers feeling targeted and undermined. Consequently, there is a strong antipathy to inspection, which remains limited. In this context of perceived crisis in the country’s education system it is unsurprising that many lower-income parents are turning towards the private sector and in particular so-called “low fee” schools. These institutions charge a daily or weekly fee, which is supposed to be affordable for poorer families. Often they are able to keep costs low while also generating a return for investors by using low-cost materials, paying low-qualified teachers less and operating to scale. Teaching can often involve a highly scripted model through the use of daily downloads to IT tablets. While some have praised its efficiency others have criticised the lack of pedagogical input. This shift towards the private sector in education is not unique to South Africa. Across Africa and beyond – India, the US – low-fee chains have been springing up with the purported aim of providing affordable quality education for poor children. This trend is also reflected in the 2030 agenda process, which expressly sees a key role for the private sector in delivering the Sustainable Development Goals, including ensuring inclusive and equitable quality education for all. However, while there can be a role for the private sector in delivering public services and goods this must not result in governments opting out of their duty to ensure that everybody can have equal access to those services, including education, regardless of their circumstances. Another growing trend is public private partnerships – a model in use for several decades in Western countries but now being actively promoted in developing countries. In South Africa, the so-called “collaboration schools” are being piloted in the country’s second wealthiest province, the Western Cape, involving a partnership between the provincial education department and a UK private education chain, based on the academies model. However, there has been criticism that the process has not been accompanied by sufficient transparency, risks placing too much power in the hands of private providers and may not even be legal. Many are also sceptical whether in fact such partnerships will actually deliver better education, citing the experience in other countries which have resulted in increasing job insecurity for teachers and not necessarily better outcomes for pupils. This recent trend towards privatisation must be seen against a backdrop of the systemic education challenges South Africa faces. However, whatever the many constraints – historic, economic or social – the country continues to face, the South African government is obliged to ensure every child has access to a decent affordable education and that every school delivers education that is fit for purpose. This includes effective monitoring and regulation of all schools – both public and private. Building on and supporting the important and valuable work of national NGOs such as Equal Education, the Legal Resources Centre and SECTION27, Amnesty International is currently researching the state of education in South Africa and how its matches up to the government’s human rights obligations. In so doing, we want to contribute to the debate on the future directions of education in the country while ensuring that authorities are held to account for guaranteeing that every South African child receives the education they are entitled to.